Numerous fixative solutions are available but many are not amenable to the histomorphological preservation of retinae. The investigators specifically focused on retinal histological studies, which rather than 4% formaldehyde (FA), often use Davidson’s fixative. However the latter has its limitations. The purpose of this study was to produce a new fixative which maintains retinae closer to the in vivo conditions. 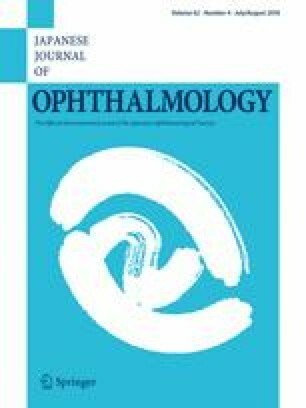 Four fixative formulations (4% paraformaldehyde, Davidson’s fixative, modified Davidson’s fixative and an in-house fixative – TB-Fix) were tested on retinae and the outcomes on histomorphology and immunohistochemical staining for selected antigenic markers was compared. TB-Fix markedly improved morphological detail following hematoxylin and eosin staining, most importantly eliminating the spongiform appearance in the plexiform layer and the swelling of somata (including Müller cells), when compared to FA, Davidson’s fixative and its modified version. Retinal samples fixed with TB-Fix or FA showed comparable results in immunohistological staining for neurons and glia in the retina. Importantly, while the whole eye fixed with FA collapsed in shape and induced artificial retinal detachment, the eye fixed with TB-Fix avoided deformation and detachment. Furthermore, we found that TB-Fix also prevented detachment from the culture plate when used to fix HEK293 cells, which are known to detach from the plate easily. It was demonstrated that TB-Fix provides an overall improvement in the preservation of retinal morphology and chemical composition. The online version of this article ( https://doi.org/10.1007/s10384-018-0592-7) contains supplementary material, which is available to authorized users. The authors thank Junzo Kitoh for critical advice. The authors thank Yukari Mizuno, Shizuka Murata, Fusako Itoh and Mika Tominaga for technical assistance and support. This work was supported by JSPS KAKENHI Grant number JP16K11323. K. Tokuda, None; B. Baron, None; Y. Kuramitsu, None; T. Kitagawa, None; N. Tokuda, None; N. Morishige, None; M. Kobayashi, None; K. Kimura, None; K. Nakamura, None; K. Sonoda, None.